Gum disease is an infection of the tissues that support your teeth, or what we commonly call gums. Ignoring this disease may cause the gums to break down, resulting in the need for gum disease treatment. When you lose the gums supporting your teeth, your teeth fall out, an expensive price to pay for not caring about your gums! The main cause of periodontal disease is bacterial plaque, a sticky, colorless film that constantly forms on your teeth. Dental plaque contains bacteria that produce toxins that irritate and damage the gums. When dental plaque and dental tartar build up around the teeth, gums become inflamed. Now, when bacterial dental plaque feels completely ignored, they continue to destroy the gum tissues around the plaque-and-tartar-surrounded teeth. Gum disease starts slowly. It often begins with some redness of the gums, tenderness and puffiness, and probably a little bleeding and bad breath so relentless that even the strongest mouthwash can’t wash it away longer than a couple of minutes. 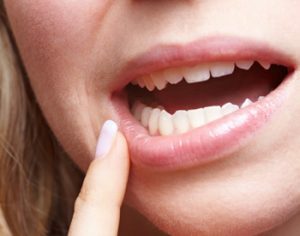 Though gum disease often exhibits some symptoms, it may be possible to have the disease active in your mouth without any warning signs. This is why regular dental visits are very important. You don’t want to ignore bacteria attacking your gums that you were never aware of in the first place. Gingivitis is the mildest form of gum disease. It causes the gums to become red, swollen, and bleed easily. There is usually little or no discomfort at this stage. Gingivitis is often caused by inadequate oral hygiene. Gingivitis is reversible with professional treatment and good oral home care. Mild forms of gum disease can be easily treated with simple gum treatment called scaling and root planning, or SRP. Mild forms can also be easily prevented with regular follow-up every six months. More advanced forms of gum disease may require deeper procedures, ranging from comprehensive SRP to surgical procedures, based on the severity of the disease.